Pharma GABA is a superior source and naturally produced form of the important brain compound Gamma Amino Butyric Acid (GABA). 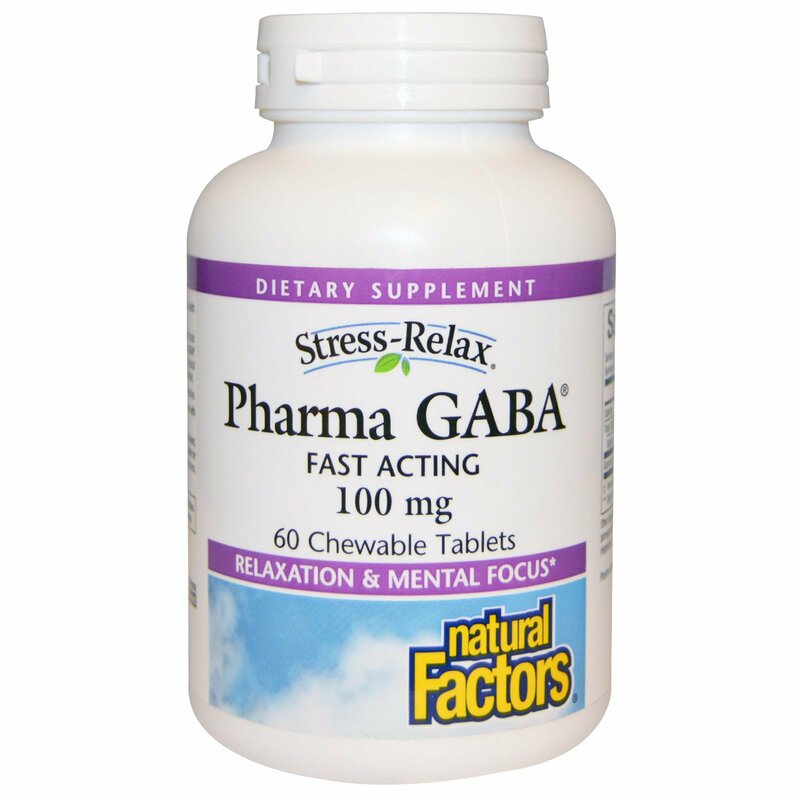 Clinical studies have shown Pharma GABA helps increase the production of alpha brain waves to create a profound sense of physical relaxation while maintaining mental focus. A tasty fruit flavored chewable tablet. Recommended by Dr. Michael Murray, one of the world's leading experts on natural medicine. Manufactured by Natural Factors to ensure safety and potency in accordance with the Good Manufacturing Practices (GMP) of the FDA and Health Canada. 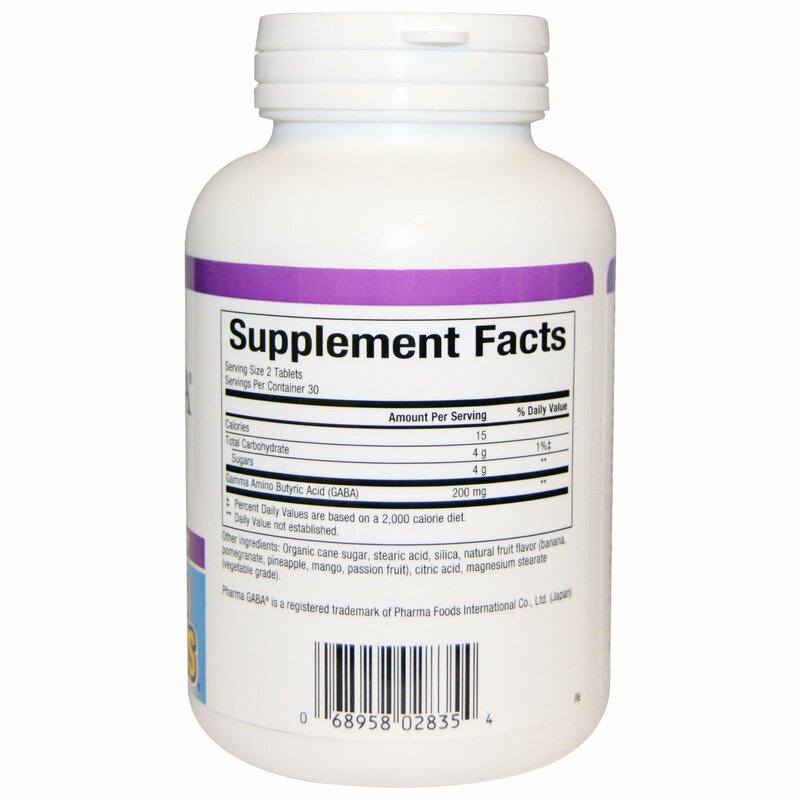 Chew 1-2 tablets up to 3 times per day or as directed by a health professional. Organic cane sugar, stearic acid, silica, natural fruit flavor (banana, pomegranate, pineapple, mango, passion fruit), citric acid, magnesium stearate (vegetable grade). Contains no artificial colors, preservatives, or sweeteners; no dairy, starch, wheat, gluten, soy, egg, fish, shellfish, animal products, salt, tree nuts, or GMOs.